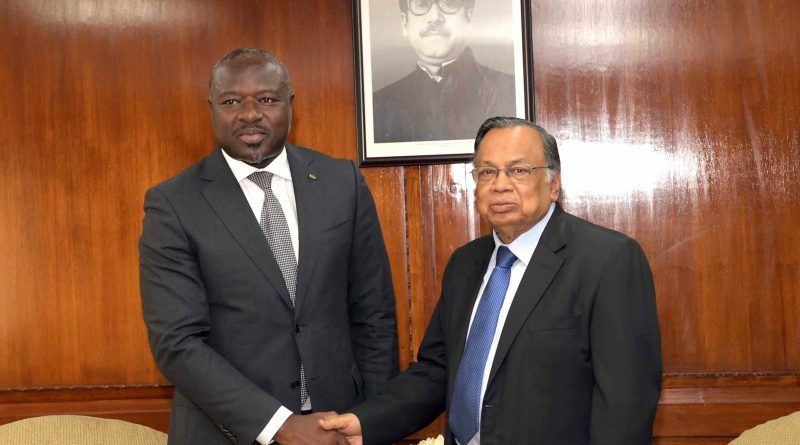 Executive Secretary of the Comprehensive Nuclear-Test-Ban Treaty Organization (CTBTO) Dr. Lassina Zerbo has called on the Foreign Minister A. H. Mahmood Ali, MP at latter’s office today. Dr Zebro is currently on a four-day official visit to Bangladesh from 03-06 October. It is the first ever visit by Mr. Zerbo after taking office of the Executive Secretary of CTBTO for the second term on 1 August 2013. Foreign Minister welcomed the Executive Secretary and thanked him for undertaking the visit. Foreign Minister stated that Bangladesh has an impeccable non-proliferation record and we are committed to full compliance of the NPT and the CTBT. He also mentioned that the government of Prime Minister Sheikh Hasina strictly adheres to its constitutional obligation of general and complete disarmament in defining its national, regional and international engagements on disarmament and non-proliferation. 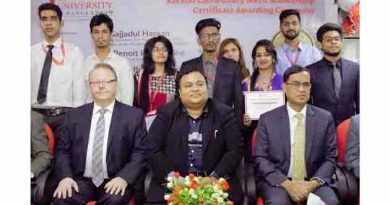 He also referred to the special initiative of Prime Minister Sheikh Hasina (during her tenure in Office from 1996-2001) to play a constructive mediating role following the nuclear test by the neighboring countries India and Pakistan (1998). She also advocated for declaring South Asia as a Nuclear Weapons Free Zone to maintain peace and stability in the region. 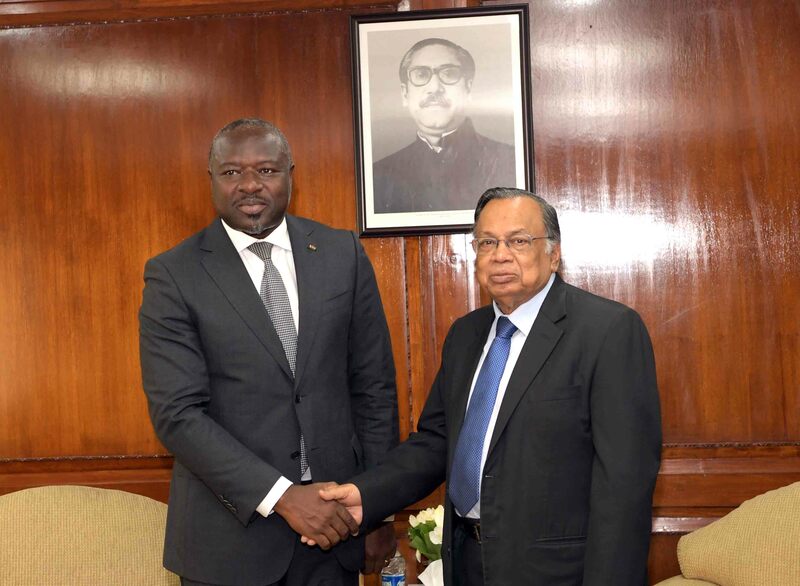 Mr. Zerbo applauded Bangladesh’s commitment and role in disarmament issues and thanked the government for continuing to advocate for complete and general disarmament. He particularly thanked Bangladesh for its efforts towards contributing to regional stability by maintaining friendly relations with the neighboring countries. In the morning Mr. Zerbo visited the Bangabandhu Memorial Museum and paid tribute to the memory of Father of the Nation. In the afternoon, Mr. Zerbo gave a lecture at the Bangladesh Institute of International and Strategic Studies. Mr. Zerbo will leave Dhaka on 06 October 2018. ← The Embassy of Bangladesh, Berlin organizes a day-long programme in celebration of the “4th National Development Fair-2018. 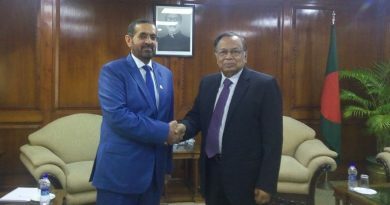 UAE always remains trusted friend of Bangladesh: Bangladesh Foreign Minister . 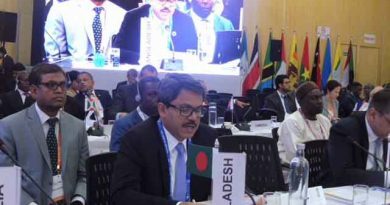 Bangladesh is committed to green, clean and sustainable energy”-says Bangladesh Foreign State Minister at International Solar Alliance (ISA) , India . 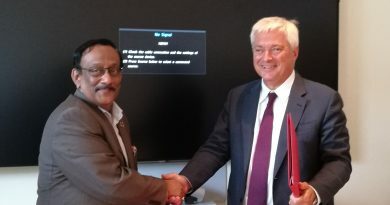 Bangladesh and Norway commit to collaborate in marine sector.